AS GOOD AS IT GETS: Brown (Edgar) and Allen (Precious) having the talk; Below, Lowe in her element as Verona. IN the end, family is all you’ve got. A fabulous revival of Basil Dawkins’ 2006 hit Uptown Bangarang, recently mounted for a weekend run at the Little Theatre, drove this point home. Gorgeously staged (the set design is a divine piece of architecture) and very well-acted (the six-member cast delivers), the show sizzles with its unflinching exploration of class and dignity, youthful angst and sexuality, morals and family values. It’s been a decade since we last saw this play and, to say the least, it’s lost none of its power to surprise, provoke and entertain, thanks in large part to a robust meditation on the dynamics of the modern family. 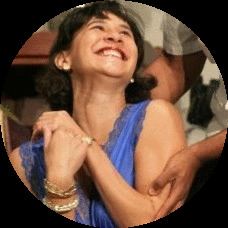 With no shortage of relish and pizzazz, Maylynne Lowe reprises her role as the pompous, paranoid Verona Webster, a nut-case of a housewife (still reeling from a car robbery a year ago), who frustrates her husband Edgar (Earle Brown), a televangelist and aspiring politician, insults their ghetto-raised helper Precious (Rachael Allen) and earns the ire of their only son Abe (Brian Johnson), a headstrong teenager with a ganja habit and musical dreams. He can’t stand his parents, but he finds a confidante in Precious, who is quietly nursing her own ambitions and desire for a better life. Verona gets a jolt of reality when she flies to New York to visit her older sis Alma (Ruth HoShing) and what was supposed to be dream-house accommodations turns out to be cramped-apartment space, complete with Alma’s gigolo boyfriend Bobby Benson, a sweet-talker/con artist played by Chris McFarlane. Meanwhile, back in Jamaica, other shocking revelations come tumbling out into the open: Are Edgar and Precious carrying on an affair? Is Abe really gay? Dawkins skillfully weaves these plot points together while raising intriguing questions about what we as human beings truly value most in our lives. 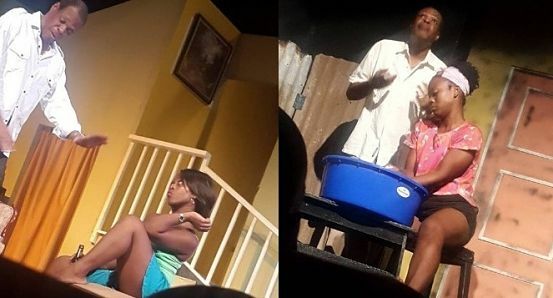 Director E. Wayne McDonald, a New York-based thespian making his Jamaican commercial-theatre debut, proves himself a fine director of a mixed cast, pulling strong performances from the actors. We particularly loved Lowe’s work (captivating, consistent and frequently funny); the nuances and tough-love style that HoShing brings to her portrayal of Alma; and the steely masculinity that drives Brown’s take on Edgar Webster. McFarlane and Johnson have their moments but, for the most part, their portrayals are surprisingly one-note. Newcomer Allen, in the meantime, shows incredible promise.